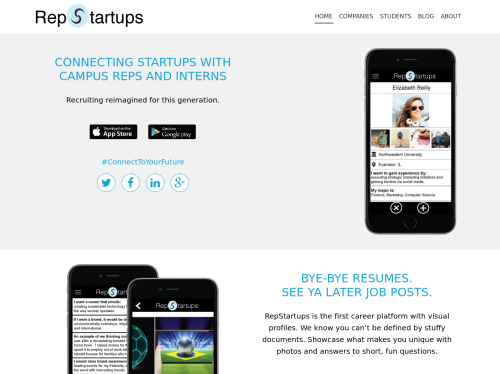 Recruiting app connecting startups to college students as campus reps & interns. In place of generic job ads, startups combine content from their website & social media to showcase products, culture, team and mission. Instead of intimidating resumes, student profiles contain visuals and short interview-like questions conveying skills, personality and drive.